Is it Time to Update Your Church Sound System? A quality sound system can make a big difference in the worship experience of the congregation. The sermon may be missed with an under-powered sound system. Everyone has been in the situation where a speaker feeds back and releases that hair-curling shriek that results in you jabbing your index fingers into your ears to avoid it. That is why a quality sound system is so important and can make a huge difference in the worship experience of the congregation. If your sound system is in disrepair or under-powered important points of the sermon may be missed. In addition, poor quality sound can distract and cause a disconnect at crucial moments. Creating the proper sound and lighting environment will help maintain the comfort of church membership, improve their experience and enhance the effectiveness of your message. If you are struggling with your current sound system or wondering if the equipment you are using has seen better days, read on for a few tips on evaluating and planning changes to your ministry’s sound system. Is your current audio equipment meeting the needs of the ministry? Before making equipment decisions take the time to assess your current situation. To find out if your sound system is doing an adequate job, test every scenario that could be required for it to handle. A quick walk through of the seating area with the sound system running can help you determine if the coverage pattern of the speakers is adequate. Take note of any areas that are “dead zones” or areas that have poor quality or where the levels are too low. Is your equipment positioned in the right place? Test for all sound & A/V applications that will be used during services, including voice, background music, video projection, lighting, etc. If you have equipment that is in need of repair or your system just isn’t performing up to par it may be time to upgrade. There are several things to consider before making expensive purchases. Use the guidelines below to help clarify what your sound needs are. Check the equipment you have on hand and make a list of any equipment that is not working. You may be surprised at what you find laying around that can be repaired or reconditioned & used instead of buying new. Taylor Production technicians can help you determine whether it’s possible or more economical to repair instead of replace. And when you’re ready to replace or upgrade, our trained professional sound designers will guide and help you create the best acoustic environment possible within your budget. Just call or contact Taylor to find out how we can help you make the best choice for your situation and budget. Make a plan 3-5 years into the future. Think of the type of service you run and make a list of specific sound requirements. Take into consideration not only the size of the congregation, the church structure itself, but also all the different types of events that may be housed by the church & what those needs might be. It’s also important to consider what the audio-visual needs are. Will computers or laptops be used? Flat screen projection? Mixers? Amplifiers? The audio professionals at Taylor Productions have the expertise to help you properly assess acoustic requirements and can make recommendations on a equipment that will handle all your needs. In addition, our skilled engineers can work with you to ensure all of your “devices” can connect properly to make having background music as easy as a swipe on your smart phone. 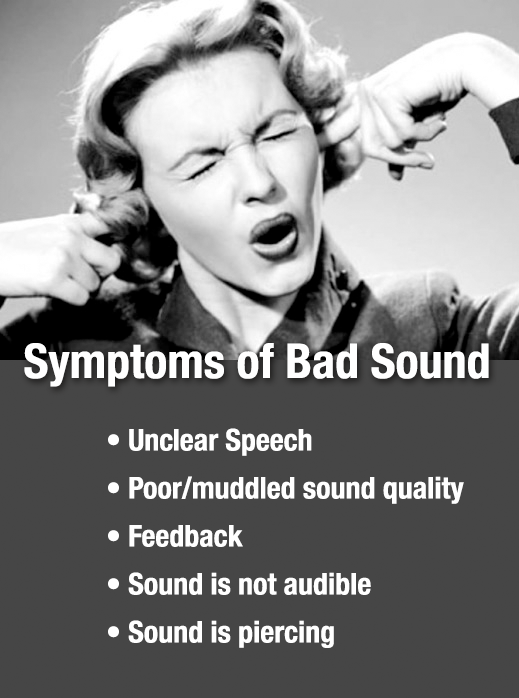 Download our Audio Assessment Checklist PDF to help create a list of all your sound needs. It will help us to better understand your unique situation and audio requirements. A trained audio expert can properly analyze the room and correct non-equipment issues like improper wiring or installation and poor speaker placement. Sometimes problems can be fixed or at least greatly improved without the need to replace equipment at all. In addition, older equipment can sometimes be reconditioned, it’s usable life extended. Before investing in new equipment it is worth assessing what you have on hand. It’s not uncommon for a church to utilize volunteers to run their sound systems. Having operators trained in the basic operation of sound reinforcement equipment can help events run smoothly and keep the community happy. We provide on-site training so you are successful running the equipment and that knowledge can be passed on within your organization making the investment more cost effective. Even if your budget is limited, upgrading a major component instead of the whole system – like the speakers, for example – can improve the quality of your sound without sacrificing your entire operating budget. Having professional input to help with this type of evaluation can save money and help you build a lasting system and create an ally you can count on when you need advice to face future equipment decisions. At Taylor we pride ourselves on listening and making whatever we recommend fit your situation and budget. Cable snake: 16-24 channels w/ at least 4 aux returns, 100-150′ snake. Mixer: 16-24 channel analog mixer w/ at least 4 aux sends, or 16-24 digital mixer. Microphones: 4-6 vocal, 1 kick drum, 4 instrument, wireless (pastor), plus cables. 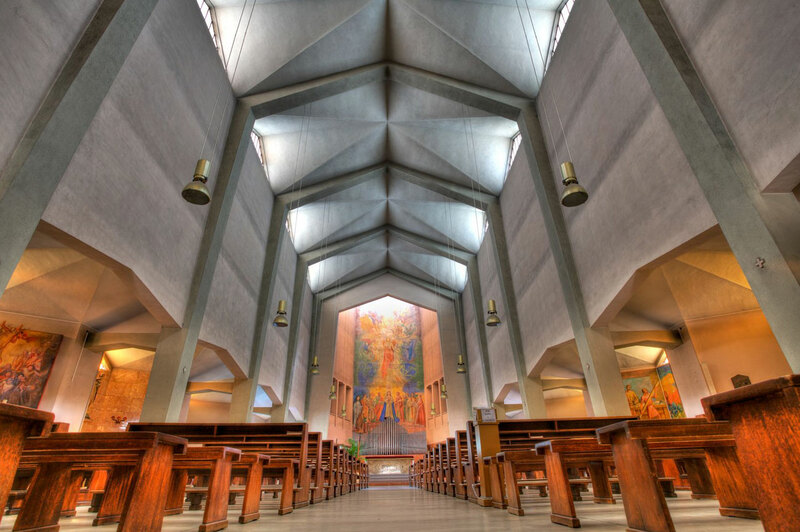 Most church A/V groups are tasked with making the best within limited budgets. Our engineers can help you identify and create a “must have” replacement list that can be balanced with more long-range improvement goals. We can help put together a comprehensive capital expense plan that can be presented to church leadership to help them anticipate & budget for audio equipment & training needs in the future. A professional sound engineer/designer will save you money by steering you away from solutions that exceed your needs and trends that do little to build reliability into your system. They can also help you properly evaluate, prioritize & create a plan to work towards a quality system that is within your budget. Without an accurate evaluation and the data it yields it’s difficult to determine the best solution or know how to budget for the future. It doesn’t matter how inspired a service is if half of the congregation can’t hear it or is distracted by feedback. That is why it’s important to research and invest in good quality audio equipment. As with many other things you get what you pay for and cheaper is not always better. Having a working relationship with experts you can trust will save you the headache of making that all important investment only to find that what you purchased cannot provide the sound amplification needed or doesn’t interface with your computer. Don’t wait for a catastrophic equipment failure to review and plan for your audio needs in the future. Many factors can cause your system to become outdated; growth, the need to integrate with peripheral devices, equipment failure or inadequacy. Establishing a relationship with a local audio/video/lighting professional is key to ensuring your congregation will receive your message in the best possible acoustic environment. If you have questions about your current audio system we are here to help. Call Taylor Productions 631-569-5165 or use the form below to contact us.